The organic sector may be seeing steady growth from both producers switching to the organic route and consumers paying closer attention to their food choices, but increases on the supply side of the equation are outpacing demand for a number of crops and pressuring prices. The organic pea market in particular has completely fallen apart, according to Tristan Gill of Westaqua Commodity Group in Vancouver, B.C. Many buyers are not even offering a price for yellow peas, with a lack of demand from China said to be the main cause of the pea supplies backing up in farmers’ bins. “There’s literally no movement (on peas) whatsoever going on,” said Gill. 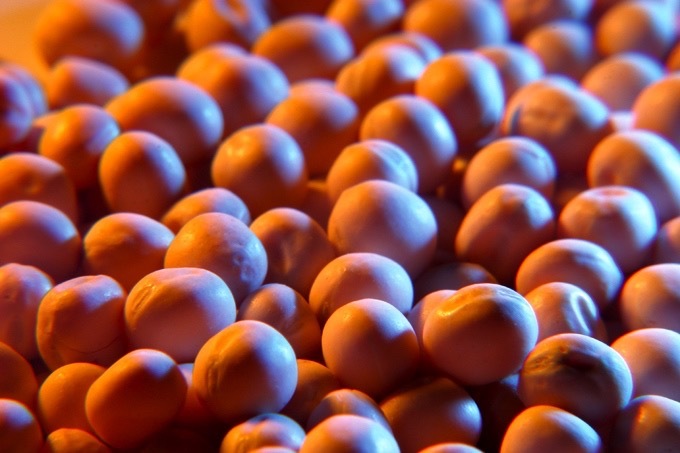 China is usually a large buyer of Canadian organic peas, as fractionization plants in the country process the peas and then sell the resulting isolates around the world. The United States is a big buyer of the processed peas, but trade disputes have halted that business. Wheat is also sitting in bins and not moving. Farmers may have seen C$18 to C$20 per bushel wheat in recent years, “but I don’t expect to see that happening in the next twelve months, barring a drought, or flood, or disaster,” said Charles. “There’s a lot of organic grain out there, and not a lot of movement so prices have been dropping,” said Barry Richardson, of NutraSun Foods in Regina, Sask. He was filled up with old crop contracted grain at the end of March, and focused on new crop production. “People are obviously a little startled by the pricing right now,” said Richardson. “The only thing we have bids on right now is flax,” said Scott Shiels, of Grain Millers in Yorkton, Sask., adding that the company was filled with contracted oats for both old and new crop. While the demand for organic grain is good, the supply outweighs the demand, according to Shiels. Freeman said prices were generally up in the air, with ample supplies and offshore competition limiting the upside. From an acreage standpoint, rotation issues are key to organic production. For cereals, “I think you’ll see more oats go in than wheat,” said Freemen. On the specialty crops, he expected farmers might grow more lentils and beans at the expense of peas. Over the past seven years “there are just so many more acres under production, that with the supply/versus demand the prices have come down,” said Gill. “The space is still growing by seven to eight per cent, year-over-year,” said Charles. “There are just more producers and more acres,” said Richardson. He was uncertain how the situation would sort itself out, but expected the next two years could see some people move out of organics if the prices don’t improve. Shiels didn’t think it was a matter of too many organic acres, rather, the challenge lies in seeding the right balance of commodities. “You can’t just chase markets, like you can in conventional,” said Shiels. He added that longer-term growers sticking with a rotation were likely doing well.